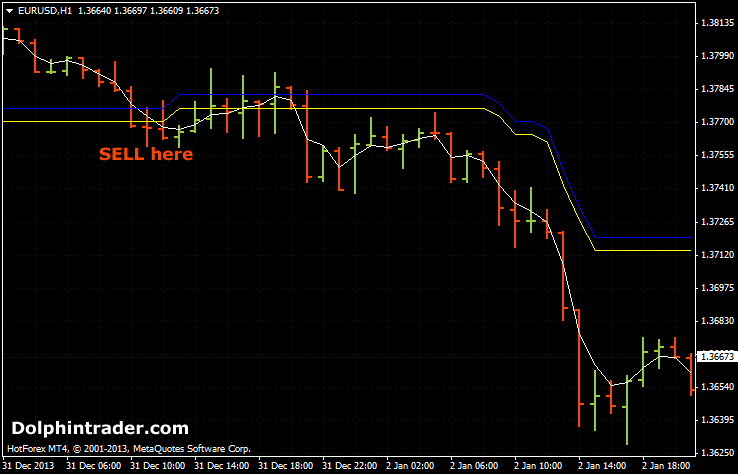 This is an utterly simple trading system designed to trade 1 hour forex charts. The system is made up of only 1 trading indicator. You can use it on any currency pair. 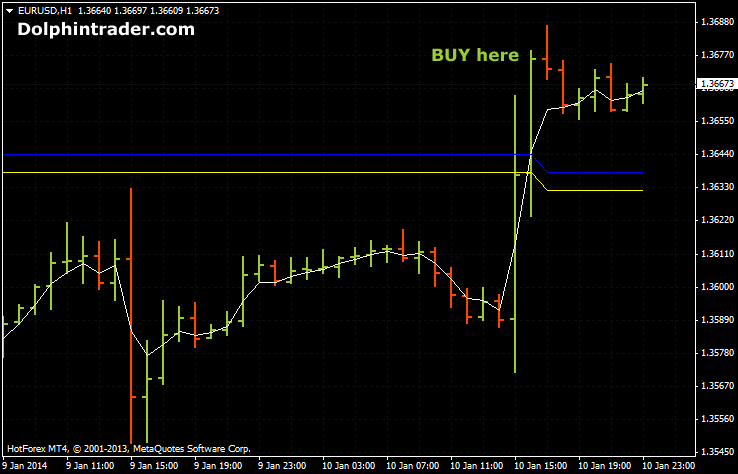 Download the Easy 1 Hour Forex System for Metatrader 4. As shown in the EUR/USD chart above, the moving average has closed above the blue and yellow line. This simply means to BUY the currency pair. Moving average (white line) has to close above the blue and yellow line. Buy now. Place SL 5 pips below the previous swing low price. Exit buy Strategy: Close 50% of your trading position at 1:1 risk-to-reward ratio. Close 50% at 1:2 risk to reward ratio. Trail protective stop 2 pips stop below the rising yellow and blue line. Moving average has to close below the blue and yellow line. Sell now. Place SL 5 pips above the previous swing high price. Exit sell Strategy: Close 50% of your trading position at 1:1 risk-to-reward ratio. Close 50% at 1:2 risk to reward ratio. Trail protective stop 2 pips above the falling yellow and blue line.